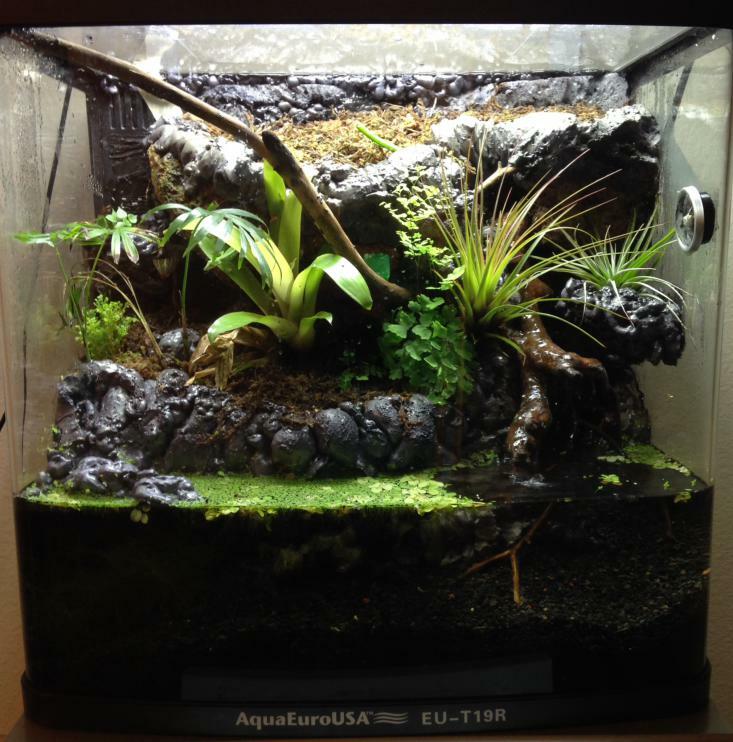 I built this 24 gallon paludarium out of a aqua euro usa all in one nano setup. I'm running 2 24w HO T5's. I used tufa rock for most of the planting areas and waterfall with pond foam to secure them in place. I currently have nothing in it as far as livestock except for a little zebra danio. 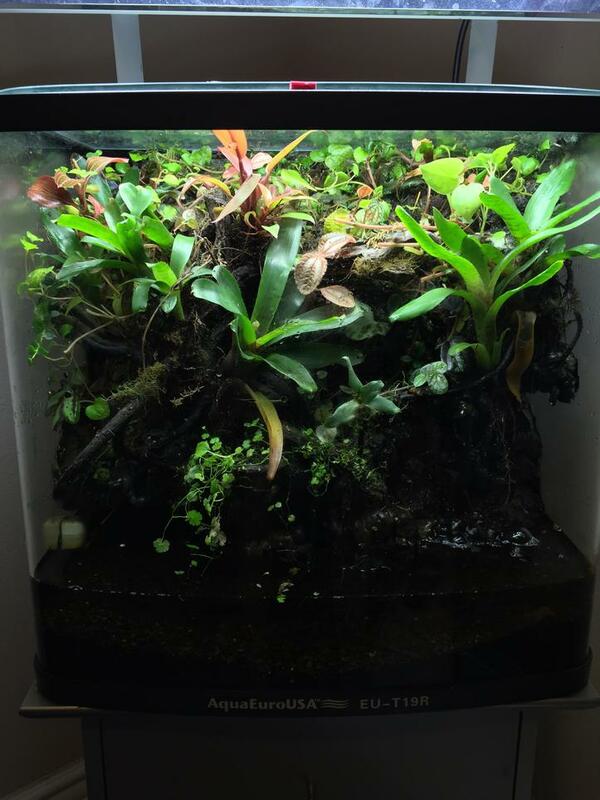 Possibly looking to add some dart frogs in the future. Last edited by Diver Dan; 01-31-2015 at 10:18 PM. Love your pictures. Although the first picture is better than the 2nd picture. The second picture has more water surface area than land. Dart frogs are terrestrial but do climb. The first tank has good land surface area and climbing. The second one is a bit too much on the water. Your dart frog might drown. Dart frogs aren't the perfect swimmers so anything too deep and they can't climb out of will drown them. Maybe you could throw in african reed frogs. They too could possibly have trouble swimming in that deep of water but that set up seems to coincide with their habitat more than a dart's. Plus you do have escape routes so it's not a guaranteed death trap. BTW, nice set up.